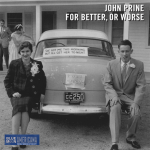 We’ll include a brand new track from John Prine’s latest album “For Better or Worse” that will be released on Friday, wrapping it in an extended set of “All the Best” of John Prine…well…not all. Tune in Thursday morning for brand new music from Jim Kweskin and Geoff Muldaur, a fun bluegrass cover of “Purple Rain” from Dwight Yoakam, Hymn For Her, Jonah Tolchin, and Seth Waler … just a small sampling of new sounds for you on a Sonoma County Americana morning. 4 Dwight Yoakam Purple Rain Swimmin Pools Movie Stars.